It was just a natural thing for Gracie to name her first co-written book with her grandma. After all, seven-year old Gracie is a voracious reader and has been for several years. So when Grandpa smiled at her from the front seat of the car on the way to see Disney on Ice, Gracie burst out laughing. 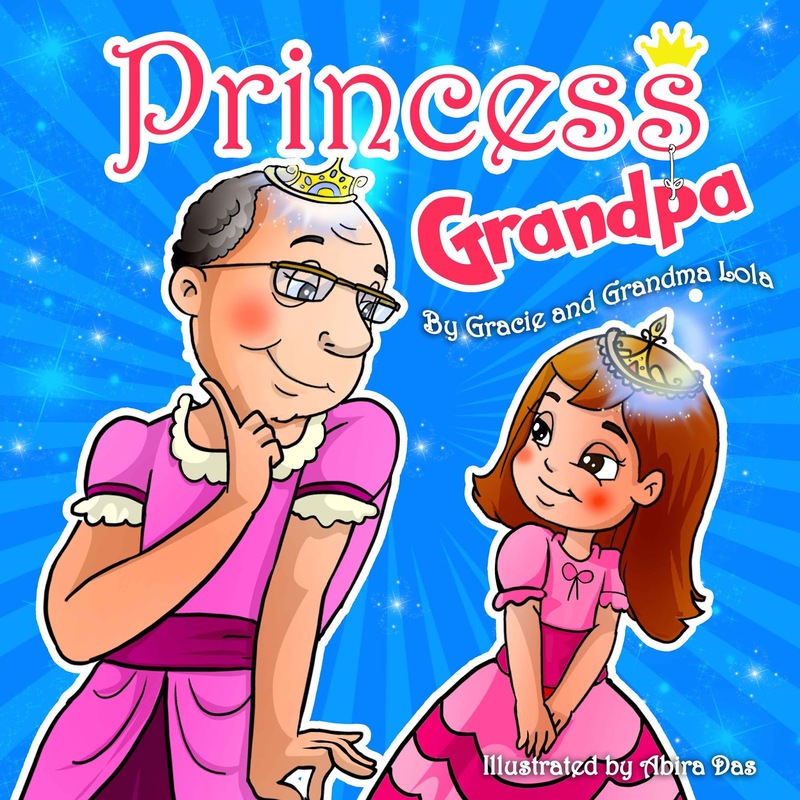 Grandma and Mama joined in the hilarity, for there was Grandpa fluttering his eyes, wearing a princess tiara. No amount of money could replicate the story that flowed from that moment. It is forever etched in the Carlile family collective memory. How does one create moments such as this? We certainly could never have predicted the outcome. It was just a fun afternoon in Oregon as we made our way to the big city of Portland to enjoy Disney princess songs and antics. But somehow a perceptive grandpa made it even more special by altering his own behavior to entertain a beloved granddaughter on the way to the event. Reading stories, creating stories, and building healthy relationships help to create strong and healthy minds. The innocence, humor, and devotion portrayed in such a story only serves to create a better world, not only for our family, but for others who will read the story and smile. In this world filled with anger, hate, ignorance, and stress, to finally read a story of love and understanding, is the beginning of a way to more peace, more love, and a better world. Can we indeed change the world? Our hope is that this first step will shine some light on life around us and little by little we can help each other on this journey we call life. Pre-orders will be taken in January, 2016. Stay tuned to this website for ordering information. Looks cute! Good luck with it! Look for it on YouTube this coming week....Granddaughter Gracie will be reading it!